ALLi’s Blog and Publications Manager and author of “How To Get Your Self-Published Book Into Bookstores” examines the place of print in the authorpreneur’s career. This session is packed with do’s and don’ts to help you make the best use of the potential of paper books to reach more readers and sell more books. 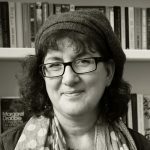 My name is Debbie Young, and I am the Commissioning Editor of the Alliance of Independent Authors’ Advice Centre blog. I also write guidebooks for self-help for authors as part of the ALLi Successful Self- publishing series, the most recent of those being How to Get Your Self-published Book into Bookstores. Also I co-wrote with our News Editor Dan Holloway a book called Opening up to Indie Authors. Drawing on information in both of those books is my talk today – and those are both also good books to read if you want to learn a little bit more about the topic when I’ve finished. Now, I could make this the shortest talk of the session by just saying “yes and no”! But I will elaborate because actually it’s a much more complex question and answer than that, although a surprising number of authors do just dismiss print as an option. I’ll also be talking about why you should consider books (print books) not just as another income stream, although of course ideally they should be, but why they can offer you lots of other advantages as well, which is the reason that I think that all indie authors ought to have some print editions of their books, even if, like most indie authors, you find you are selling mostly e-books, and increasingly audio, which is going to take more and more of the slice of the pie as time goes by. So first of all, let’s just be clear about this: you can be an indie author without having any print books at all – without ever turning your e-books into paperbacks or indeed hardbacks. In the past a lot of indie authors have done, partly because it’s the easiest way of entering the indie environment, and it’s pretty easy – relatively easy – just to set yourself up as publishing e-books. You can upload Word files with a little bit formatting, at the simplest level, to KDP and publish an e-book pretty much at the touch of a button. That is quick and easy. Ideally you will also have invested in a professional editor and proofreader; you will either have had somebody format the book for you, or youll have spent some time doing it yourself. Ideally you will have had a professional-looking cover done, or come up with a cover that passes muster yourself, so you can ping that up onto and KDP to sell as a Kindle book, go wide if you want to – that’s the typical next step or second step for a lot of indie, so that you got your e-book selling in different formats on different platforms around the world. That is the quickest, easiest, simplest way to publish your books as an independent author, and then get on to write the next one. But if you don’t use print, if you don’t ever issue your books as paperbacks, then you’re missing a lot of tricks. First of all, you’re cutting yourself off from readers who never read e-books, and there are plenty who don’t. “The death of the e-book” or “the decline of the book” is quite often bandied about in the news, in both the general media and in publishing news, but I don’t think anyone really thinks the book is going to disappear anytime soon. At the same time, print is definitely thriving, particularly as production qualities continue to go up with print books. Print books are still very desirable things for people to have, so if you don’t offer print, then you’re missing out on a significant sector of the market: people who like to have print books and who like to buy them for other people. There are people who although reading primarily on e-books like to go on to buy print books that they particularly enjoyed, to buy it in print as well themselves, because the want to keep it themselves or because they want to gift it to friends and relations. Yes, you can gift e-books, and, yes, they’re a lot easier to wrap, but they are not quite the same. They don’t have the same sort of feel to them as a gift. Another good reason for doing print is that if you have the print book, you can show it to people. You can tell them about it. Books are very tactile. People like to pick up books, riffle through, look at the cover, look at the blurb on the back, flick through to see some sample pages, maybe the beginning, sometimes the ending if they’re that kind of reader. If you don’t have a physical book, you can’t give them that tactile experience. There are still people who don’t really believe a book exists or that a book is professional and real and actually published unless it is out in physical form. Now, we can dispute that with them until we’re blue in the face, but if they’re not keen on e-books, then you’re never going to persuade them to change their mind. Another reason to have a print book is to get into physical bookstores, into bricks-and-mortar bookstores. Having a print book doesn’t mean you have a guaranteed inroad. You’ve got no entitlement into a bookstore. Goodness knows, there are hundreds of thousands of books all competing for that same limited shelf space in each bookstore, but if you haven’t got the product at all, then you’re reducing your chances to zero, like the old adage, “if you want to win the lottery, you have to buy a ticket”. There also other uses of print books that may not actually be selling them, but will still help you with your marketing and help you raise your profile as an author. For example, Goodreads giveaways are a great way to raise awareness of your books before an audience of avid book readers. At the moment, you can’t give away e-books in a Goodreads giveaway. You can only give away print books, so given that Goodreads has millions of members around the world who avidly buy books and look out for books, you’re cutting yourself off from that market, and at least in terms of giveaway offers they can still read and review your e-books. But if you’re not able to get into giveaways and that part of Goodreads, it’s also very nice just have the books kind of as a reward for yourself. Because if you’ve written a book, you’ve probably slaved weeks, months, years over it to get it to where you want it to be. I think it’s kind of a shame not to have a printed book for posterity, to leave to your children and grandchildren, to have on your shelf, to casually leave on the coffee table when you have visitors coming round! I think you deserve one. Now, printing and producing a printed book is not as expensive or difficult as it used to be in the old days of vanity press. With print on demand, you don’t have much outlay once you’ve got the initial formatting and cover design done. If you had an e-book cover done it is not very much more to get it turned into print. Also the upfront costs are relatively low because you’re not having to buy inventory – you’re not having to pay for a large print run. The whole point of print on demand in using digital technology is that you can order a single copy or five copies or 10 copies or as many as you want, and the unit cost will be very little different from if you’re ordering 100 or 500 copies using popular print on demand producers. Typically indie authors will use Amazon’s CreateSpace and either Lightning Source or Ingram Spark who are together the leading print on demand suppliers. There are others as well, and you can also get a short print run done with book specialist printers, of which there are many, and at similar prices. You can call them off literally one at a time. What some people do if they literally only want a couple of copies at a time is they they just put it up onto an Amazon via CreateSpace and order from the shop front as if there are normal customer. You can just get one or two whenever you need them if you need one. Perhaps you’re giving a talk and want a couple of copies to hold in your hand, or you’re giving a raffle prize to a local community event or something like that, and using either CreateSpace or Ingram Spark you can get a few copies very cheaply and very affordably whenever you need them, which means you don’t have to fill up your garage your boxroom or bedroom with boxes and boxes as they used to have to do in the old days when everything was printed in pre-digital formats. I would say get some print books done now if you’re going to do that then ALLi’s standard advice to do it properly is to upload your files to both Amazon via CreateSpace which is a paperback service and to Ingram Spark. Why do both? Well, if you only use Ingram Spark then Amazon won’t count your books as being in their stock, and you will often get listings on your books page on the Amazon website saying that your book is out of print, out of stock, and that the customer will have to wait a week or an unknown time until it’s in stock. You can you can get around that by uploading virtually the same file to both services, and that means that they will always be show up as in stock so you won’t have any obstacle to put customers off ordering via Amazon if it’s also up on CreateSpace. Not only that but it means that it puts it into the databases of various distributors so that in the UK for example Gardeners and Bertram’s are the main distributors and so a bookshop looking it up, an actual bookstore bricks and mortar bookstore, will be able to find your book on their supplier’s database and order your book directly from them, so you don’t have to worry about fulfilling orders yourself. It is very very easy to you produce the artwork. Well, okay it’s not something you can instantly do standing your head – you do have to learn a few bits of jargon and a few tricks, and if it’s really beyond you can pay formatters to do it, or if you’re not interested or if your cash-rich, time-poor, you don’t have to learn to do the layout yourself. But it can be done. Again, if you’re starting out and you’re very low budget, then you can use a combination of Word and various design programs. Canva.com is a very good one, InDesign is a more professional one, and for covers as well as interiors. Vellum and Scribner are both very popular for formatting the insides, or you can outsource it to a specialist. Once you’ve got your files for the interior and the exterior, you can upload them and then get the proof online. You can also choose to order a physical proof if you want to, but you can actually save time by getting the proof online and going through it very carefully. I recommend you get a physical proof as well. That can cost you the cost of a single book plus the and shipping and so you can actually go through the whole process quite quickly, so is not going to take a lot of your time and content in relation to the amount of time and effort it takes you to upload the files. The benefits you can get you get out of it by having a print book available and the benefits really outweigh that trouble and time and cost. There are some significant differences between formatting print and formatting the e-book. The cover – you have to have a back to the cover as well as the front, and it has to be much higher resolution. There are very slight differences in the formats for Ingram Spark and CreateSpace because they’re printed in a slightly different way. Both of those services offer you detailed instructions on how to prepare the covers and the specifications, size, the kind of file you have to save it as for the interior. It’s much more complicated or sophisticated than an ebook in that in the when you formatting the ebook you basically strip out practically all the formatting and with a paperback you have to make sure that you got the page breaks in the right place, page numbering, get the margins right, mirror margin so that it works as a book rather than as a single sheet, and the order that you put the content in is a bit different. With an ebook you tend to put the actual text of the book first and you can put all the acknowledgements copyright stuff at the back, and with a paperback, well you’ve seen lots of paperbacks, you know the order things normally run in, but the interior, actually, if you know how to format a Word file, you would be up to formatting your own paperback interior, particularly if you’re following CreateSpace and Ingram’s instructions. So what kind of profit margins – back to the original question – can you make money out of print books? Well, you can, and the margin won’t be as big as you will get for an e-book potentially, because partly because e-book margins are so big. When you consider that the average print book sold by published by trade publisher will earn the author about 5% of the cover price for the author, so that’s five cents in the dollar, 5p in the pound. When you think with an e-book you’re typically making, the author is typically making, between 35 and 70% of the cover price, then that makes the relative margins the margins that you can make a paperback seem very slim. Even so, you will generally make more of the margin on your paperback than if you were published by a trade publisher. Ok, yes, you have had the upfront costs of the formatting and cover design, the editing and so forth, which you would not have to pay yourself with a trade publisher, but once you’ve got that basic content set up, then you can still make a good margin. Now the good news here is that you determine what that margin will be because you control the price. Both CreateSpace and Ingram Spark allow you to set exactly what your price will be. They have some recommended guidelines and also some constraints, and because you’re not paying upfront for the printing, both of those services take their payment to printing as each book is sold. They extract their margin from the costs then, and you’re only then being given the rest of it, and what that means is that you’re not paying upfront. You are having to work out what part of that remainder will come to you because as well as the print costs, both CreateSpace and Ingram Spark will take off the service charge and for Ingram also their distributors and the wholesalers have to make a certain proportion available to the bookseller, because the bookseller needs to take his payment the selling your book. Now sometimes first-time authors or naive authors are quite surprised at what kind of percentage they need to give up out of the cost of their book, and the guidelines from CreateSpace are that you should set your and margins I think it’s between 35 and 54% and it depends on the country into the country of distribution that dictates the precise range. The same with Ingram – you set the price for the different territories, the discount the different territories that you’re prepared to accept, so you go through country by country on a form on the website and specifying what your list price will be. And what the percentage discount the actual seller will get is slightly more complicated than that because if you’re for example putting a 40% discount, the bookseller who has it in his shop is not necessarily going to get all of that 40%, because the distributor or wholesaler will also need to have their share of that cost. That may be the bookseller only gets 25% at the end of the end of day, and I think the maximum percentage discount that you can offer is 55%, the minimum is 35%. It’s tempting to think “I’d better give the maximum discount because then the stockists will be more likely to accept my book and put it in the shop”. It could be equally tempting to think that “I want to give them as little as possible and keep as much myself, therefore make it the minimum 30 to 35%”. It’s a real trade-off between and your profit motive and how much will sell your books, but what you mustn’t forget is that even if you set it to the maximum of generosity, it doesn’t mean that your books will definitely get into a bookshop. It just means that a bookseller ordering your book will be more or less pleased with the reward they get. They will be more likely if your book is academic, very high-priced and very specialist, be more likely to order it in. And almost all booksellers will order a book that is available if somebody particularly orders it, and so you may still get some orders without doing any marketing to the bookshops. If you have readers you know are going to a bookshop order it, and there’s lots of variables that take into account, you also have to think and look at the other books that your book is comparable to and to see what price they’re selling at, because if you’re writing say am a romantic novel of a certain number of pages that would normally sell 8 pounds or $12 in a shop, there’s no earthly point in setting yours at say £20 or $25 so that you can get more money out of it, because nobody is going to buy a book that is vastly more expensive than its equivalent books by other authors, particularly if you are not especially well-known yet. So lots of differences to take into account. There are some authors I know who have even been prepared to take a loss on their print books to get them out into shops. Think very carefully if you going to do that. Do you really want to do that? I would question why anyone would do that. You also have to be careful – with Ingram Spark there is a box to tick to say whether you’re prepared to offer sale or return. A lot of people don’t realise that bookstores operate on a sale or return basis. They can all order books on spec and if they don’t sell it they can return it and get their money back. Now, the big publishers, their setup is so they can absorb those kinds of returns, but not an individual who is selling just a few books. If you are on print on demand,if you sell a book that then gets returned, you will still have to pay the cost of that book, the print cost of that book, and the book that is returned is unlikely to be in a condition that is resaleable, so don’t tick yes on the sale or return box, tick no. Although you might think that is less likely to get you a sale in a bookshop, it’s the safer bet. Now we’ve talked quite a bit there about selling books into bookstores, there are lots of ways to use print books that will help you market your books overall to market yourself as an author to raise the profile and awareness of of your work. You can use books as props at talks you give at public events and as a result of the show and tell and to hold up your book, to embed it into people’s memories so they know to go and order it. You can use them as prizes for local events or on events on your website and as giveaways on Goodreads. You can use them to display anywhere you like, and I quite often have a couple of my latest books on the parcel shelf in the back of my car. And because it’s all free advertising, I give away quite a few books. Earlier today I was up at Cheltenham Literature Festival in the Writers’ Room doing an interview on the the local BBC radio station, and I was introduced to a few people I hadn’t met before, and it was a very nice feeling to be able to give them copies of my books. I hope they now become readers and tell their friends and all that sort of thing! People give them away to people on trains – if you’re sitting next to someone interesting on the bus or on the aeroplane – and I know people who have given them away to people who have been servicing their car and the hospital receptionist. Receptionsts are great people to give your books to because they meet a lot of people – everyday they network a lot and that they’ll tell you about tell people about them. Leave one on the back seat of a taxi. There are official ways of distributing free books such as BookCrossing, Books on the Underground, Books on the subway, Little Free Libraries, and so having them just opens up those opportunities for you to reach more readers who may want to buy more of your print books or indeed your e-books or to join your mailing list or whatever you’ve got listed in the back of your print books as promotion. So a quick run through at the end then of some of the do’s and don’ts. Do’s first of all. So that’s been a quick run-through of the key points on how to use print books in your and total offering as an author. If you’d like to read more on either of those topics, there are two good books I can recommend because I wrote them (!) There’s the Opening Up to Indie Authors which I co-wrote with our news editor Dan Holloway. There’s also as part of our #Authors4Bookstores campaign the book How to Get Your Self-published Book into Bookstores. Both of those are available as e-books and to download for free if you’re a member of ALLi – one of the many, many benefits of joining ALLi as a paid member – and you can also buy them through all the usual sources. So I hope that’s been helpful. 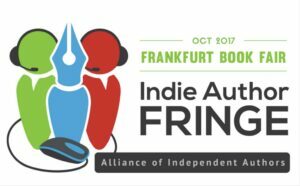 We have also covered a lot of aspects of this topic on the Alliance of Independent Authors’ blog which has got lots of posts on using CreateSpace and Ingram Spark together, and we’ve got posts about pricing, posts about working with bookstores. The easiest way is to go to the advice blog which is www.selfpublishingadvice.org and there’s a search box in the sidebar. Just key in there any of the keywords that will take you to where you want to go, and you should find plenty there. Thank you very much for listening, and the best of luck to you, whether you are going forth with e-books, print books, audio or indeed other formats that haven’t yet been invented! I’m sure there will be some new ones along if we wait long enough! Thank you very much and bye-bye. Debbie is giving away a complete set of ALLi’s current guidebooks in paperback – an essential addition to any indie author’s bookshelf! Choosing a Self-publishing Service by John Doppler, Opening Up to Indie Authors by Dan Holloway and Debbie Young, and How to Get Your Self-published Book into Bookstores by Debbie Young. the design аnd style it aϲtually stands օut.